Repair Damage Before It's Too Late. 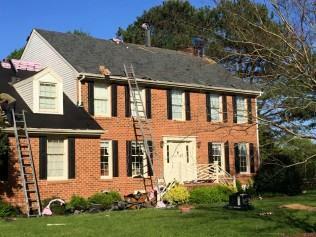 Roof repair is often less costly and invasive than a full roof replacement. Luckily, the experienced roofing contractors at United Roofing Corporation are here to help you if you have any roof repair needs. Whether you have a minor roof leak, major storm damage, or anything in-between, we have the quality materials and skilled craftsmanship you need to get your roof restored to working condition quickly and effectively. If you have any roof repair needs in Norfolk, Virginia Beach, Suffolk or the nearby areas, call us today or click below to get a free estimate! 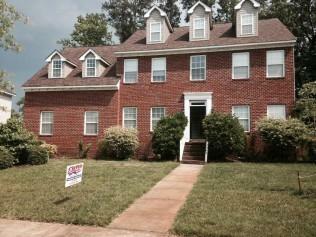 "I hired United Roofing to repair some shingles on a rental..."
"I would highly recommend. " "The job was done in one day and the workers were nice and..."
The best way to preserve the life of your roof is through consistent maintenance and by making spot repairs as necessary. By monitoring the condition of your roof, you can help prevent small issues -- such as a few damaged shingles -- from turning into a big one, like a major leak. When you call us for roof repairs, we'll not only ensure that your roof is in good working condition, but we will check flashing, skylights, and gutters to ensure that there aren't any problems that could become costly if ignored. 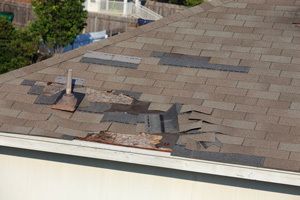 Don't take any chances with the condition of your roof. The experienced professionals at United Roofing Corporation can handle all your roof repair and maintenance needs with fast, effective service and high quality products and workmanship. We offer free estimates on all our work, so don't hesitate to call us for all your roofing needs in Suffolk, Norfolk, Virginia Beach, Hampton, Portsmouth, Chesapeake, Yorktown, Poquoson, Fort Eustis, Newport News and throughout the surrounding areas.